The Success4All platform is funded by the European Union as part of the ERASMUS + projects. This platform serves global objectives of raising awareness and supporting entrepreneurship in Europe. It aims to provide online educational content accessible to all regardless of the level of training. In addition, the platform is accessible to people with disabilities. Features are available to make it easy for everyone. If you have an idea of starting a business, if you are looking for new business opportunities or if you want to build an entrepreneurial career, do not hesitate to join this platform and take the course online. The project is implemented by different partners from France, Bulgaria and Latvia. Collaboration with teachers, support professionals and associations for assisting people with disabilities is at the origin of the project. Synergies between the various partners achieve a comprehensive and comprehensive project aimed at providing the knowledge, information and skills needed by future entrepreneurs. Because entrepreneurship is a major issue, representing a lever for professional integration, personal development and value creation, it is important that the actors work together to provide the necessary means for everyone to succeed. The Success4All project is an educational project that is part of an interactive and inclusive learning process. Interactive learning in the online course settings involves essentially examples, practices and videos. The project is described as inclusive because it aims to provide access to training for different types of audiences. Thus, the content of the different chapters are built to meet the needs of project leaders regardless of their level of training, the type of training, or previous career. Taking the course online allows you to train at your own pace and according to your needs. The platform gives you the opportunity to confront your idea at the key stages of entrepreneurship, refine it, adjust it and make it a reality. The course content aims to provide you with the relevant informations on the entrepreneurial way, the questions to ask yourself, the steps to take as well as the institutions / administration / associations that can help you and accompany you. The use of e-learning is becoming more common even in degree programs. The accessibility of an online course is a means of disseminating and sharing knowledge on a large scale. The educational content combines both theoretical knowledge, interactions through the use of explanatory videos and links to other media, as well as the implementation of learning. In the Success4All, a discussion area is available to interact with the community of users whether on your project, offer your skills or share your experiences and expertise. The content of the course is organized in 4 modules following the steps of the entrepreneurial process, is structured to support you in your learning. Entrepreneurship is learned by doing, but some knowledge and skills are needed to help make your project a success. Register for the online course, access the different features and talk about it! The SUCCESS4ALL project is driven by the work of 8 partners from 3 different EU Member States (France, Latvia, Bulgaria) having complementary profiles in order to provide the necessary expertise for the implementation of all project activities. PSB is a “Grande Ecole” management school, part of Groupe ESG, a network of seven business schools in Paris, specialized in business, management and entrepreneurship education and the only school in Paris to offer a complete range of world class internationally accredited programs (BBA, MSc, MBA, DBA) and executive education, taught entirely in English. BEFO is a multicultural non-governmental organization that aims to facilitate continuing education of schools, enterprises and society and supports the development of different competencies, as well as personal and professional skills. CRA is a non-governmental, non-profit organization with expertise in analysing the prospects and the impact of education and science on the society and on economic development. CRA maintains contacts with national and international universities, research centres and organizations in the field of education, science and innovation. 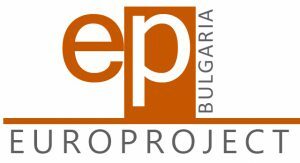 Europroject is a French-Bulgarian consultancy specialized in the setting up and management of innovative, collaborative and large scale RTD projects for SMEs, universities and research centers in all EU member states. The company is also experienced in the development of trainings, IT support, methodologies, studies, tools and evaluations. SWU "Neofit Rilski", located in the city of Blagoevgrad, Bulgaria, offers programmes in 67 Bachelors, 86 Masters and 43 Doctoral programmes. An e-learning laboratory has been established in 2006 to provide blended learning course. Additionally, a dedicated center for students with special needs provided specialised support for both students and HE staff. h’up entrepreneurs has been supporting disabled entrepreneurs since 2008. This non-profit organization aims at accelerating their success thanks to a network of 180 volunteer experts. it also aims at supporting heads of company who come across a disability during their life. Apeiron is a NGO which aims to fully integrate people with disabilities in the society. Established in 1997 the organisation is currently the umbrella organisation for disabled people’s organisations in Latvia and is working within the fields of human rights, accessibility, employment, inclusion and integration in teaching and social services for children. CIL is a Bulgarian non-governmental, non-profit association of disabled people. It has been working for a change in the governmental policy in the area of disabilities since 1995 by actively promoting the values of Independent Living and the application of the Social Model of disabilities. As part of the Success4All project, several documents have been produced. They result from the work of data collection and analysis by the partners. They serve as guides for the development of the platform and are available below. Intellectual Output I is ready in English, French, Latvian and Bulgarian. Feel free to share in your organisation and community. The Youth Citizen Entrepreneurship Competition is an activity within the framework of the UNESCO Global Action Programme (GAP) on Education for Sustainable Development (ESD) and is therefore particularly featured by UNESCO on its website at https://en.unesco.org/news/2019-youth-citizen-entrepreneurship-competition-submit-your-ideas-and-projects. The Youth Citizen Entrepreneurship Competition is a global programme and an online platform to mobilize youth-led innovations for the UN Sustainable Development Goals (SDGs). The Competition strongly contributes to advance a Culture for Entrepreneurship among youth and is an innovative response to global youth unemployment.